Last month, Warner Bros. unveiled the first of three Blade Runner 2049 prequel shorts which help bridge the Blade Runner timeline between 2019, the year the original Blade Runner was set, and 2049, when this sequel is set. Today the third and final prequel short has been unveiled, and in case you missed the first two, you can also check out both of those below. 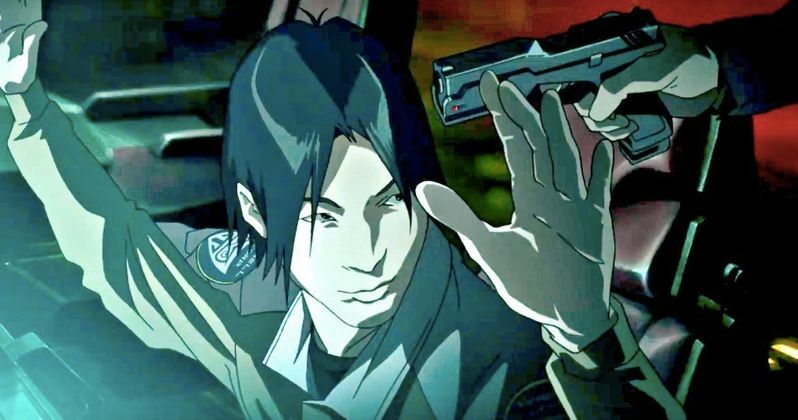 While the first two Blade Runner 2049 prequel shorts were directed by Jake Scott, the son of original Blade Runner director Ridley Scott, this third short is an anime prequel, directed by iconic Japanese anime filmmaker Shinichiro Watanabe (Cowby Bebop). This anime prequel short debuted on CrunchyRoll, before rolling out worldwide. Back in July, Warner Bros. debuted a Blade Runner 2049 timeline video, that broke down some of the most important events to take place in the 30 years between these two movies. The first short film was set in the year 2036, showcasing how Niander Wallace (Jared Leto) was able to create a new line of Replicants known as the Nexus Dawn. The second short film was set just a year earlier in 2048, following Dave Bautista as Sapper Morton, a replicant on the run. This short film focuses on the Blackout of 2022, which begins with the following text. "While the Relpicant Nexus 6 expired in inventory, Tyrell Corp pushed the Series 8 into the local and Off-World market. The Nexus Series 8 were purpose-built with a natural lifespan. Soon the human supremacy movements began." The short opens with quite the violent scene at a parking lot, which results in a number of Replicants being hanged to death, when it's revealed that these human supremacy groups used the public Replicant Registry Database. We then see a group of humans gathered around a young girl Replicant, before they're all taken out by a mysterious man, who states that, "this is what I'm made for." After this mystery girl takes out a tanker driver, we meet the iconic Gaff, with Edward James Olmos returning to voice the character. Gaff brings in Dave Bautista's character Sapper Morton to handle these human supremacy rallies, before we learn that the mysterious character from before is in fact the man behind the Blackout of 2022. The timeline video from this summer revealed that, following the death of Dr. Eldon Tyrell (played by Joe Turkell in Blade Runner), the Tyrell Corporation rushed out their Nexus 8 model, with "natural" life spans instead of the four-year life span of the earlier models, although they had ocular implants that make them easier to identify. After the human supremacy movement started to rise, the blackout happened in 2022, caused by an Electromagnetic Pulse (EMP) of unknown origin that detonated somewhere on the West Coast. Entire cities were shut down for weeks, while electronic data was corrupted throughout the entire country, causing financial markets to crash and food supplies to run dry. While no cause for the blackout was proven, Replicants are believed to have caused it, which is proven true through this short. Take a a look at the new anime prequel short, along with the first two videos below.